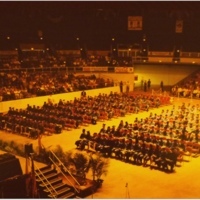 Palm Beach Gardens High School Commencement Ceremony in 1997. 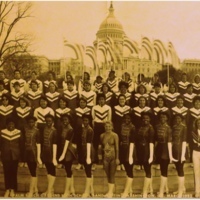 Palm Beach Gardens High School Band in Washington D.C.
Palm Beach Gardens High School band visiting Washington, D.C. in 1982. 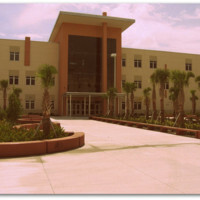 Palm Beach Gardens High School was torn down in 2009, and a larger high school was built and named Palm Beach Gardens Community School. 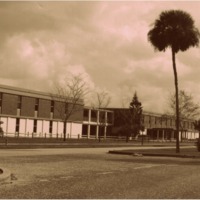 Palm Beach Gardens High School opened in 1968 with 1,700 students. 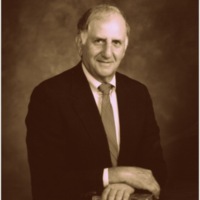 It was the first public high school in the area, on Holly Drive just a few blocks from the heart of MacArthur's first neighborhood on MacArthur Boulevard. © 2014 - Palm Beach Historical Society - All rights reserved.